Here Come the Aliens! 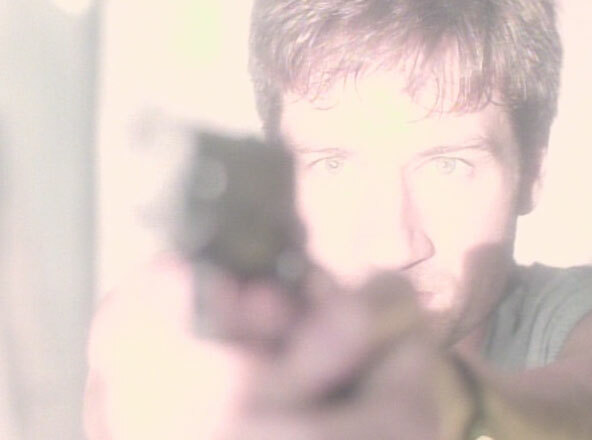 Marathon: Revisiting The X-Files' "Little Green Men"
Throughout The X-Files’ lengthy run, Fox Mulder (David Duchovny) struggles to keep the faith as powerful forces slam doors in his face. Even in the film I Want to Believe, he’s ready to give up his quest. This trend goes back to the opening season finale “The Erlenmeyer Flask”, which ends with the closure of the X-Files. Mulder begins the second season doing mundane surveillance and meandering through the office like a zombie (I know this feeling). We’re only 24 episodes into the series, but Creator Chris Carter is already putting the screws to his characters. This roller coaster ride of discoveries and disappointments will haunt both Mulder and Dana Scully (Gillian Anderson) throughout the series. She’s teaching at the FBI Academy in this episode, and neither seems happy with their less-inspiring environments. “Little Green Men” opens the second season with a memorable premiere that reinvigorates Mulder’s search for extraterrestrials. It’s the first appearance from an alien, and this moment is wonderfully underplayed. When a possible alien message arrives at a closed NASA station in Puerto Rico, Mulder makes a dangerous trek to determine its validity. Aided by Senator Matheson (Raymond J. Barry), he races to out run the military and uncover actual proof. Although we learn about the message early in the episode, the alien reveal is still a surprise in a show that sometimes pulls its punches. This mirrors an earlier flashback to the abduction of his sister Samantha, which only enhances the danger from this entity. I was a big fan of The X-Files when it aired and believe it holds up well. The effects aren’t on the same scale as our current genre shows, but the stories are usually very well-done. The signature episodes have a tense atmosphere that remains effective today. Although it arrives pretty early in the series, “Little Green Men” includes all of the key elements that drive the show until the end. Mulder takes a dangerous gamble to find the truth, and Scully picks up the pieces and saves him before it’s too late. Assistant Director Skinner (Mitch Pileggi) gives them trouble for going against orders, but he proves to be a good guy in the end. 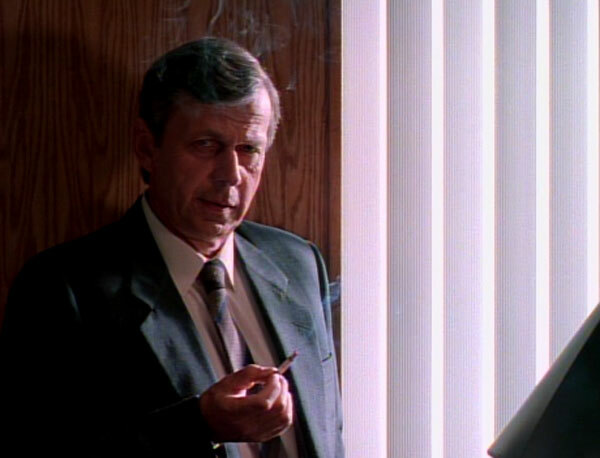 Lurking in the shadows is the Smoking Man (William B. Davis), an enigmatic figure trying to ensure his group’s aims are met. Mulder believes he’s found proof of extraterrestrials, but he ends up with nothing concrete in the end. This trend would happen repeatedly through the series and frustrate both the characters and some fans. At this point, Mulder doesn’t have definitive evidence, but this journey has renewed his confidence. Although it’s pivotal to the ongoing story, this episode lacks the grandeur of your typical season premiere. This streamlined approach keeps us aligned with Mulder’s experiences and builds the suspense in Puerto Rico. The observatory is especially claustrophobic and gives him nowhere to hide from the incoming menace. He meets Jorge (Mike Gomez), a Hispanic man who’s already seen the alien. His drawing hints at what’s to come, but it doesn’t ruin the upcoming reveal. Jorge’s presence allows us to see the danger and raises the stakes for Mulder. We know that he’s going to survive, so adding a second person is necessary to make it an exciting scene. 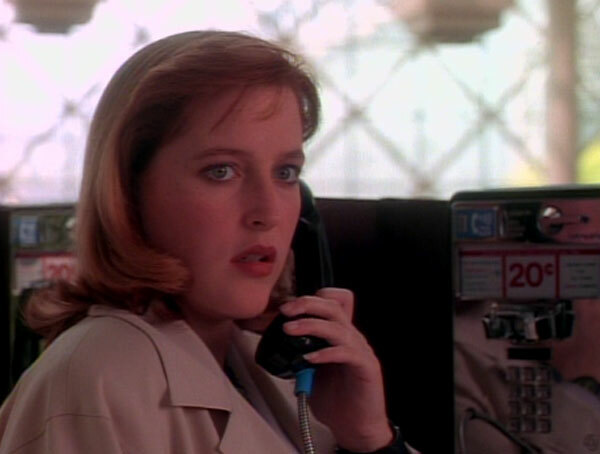 Adding to the fun are Scully’s attempts to dodge the world’s worst trackers at the airport. It takes little effort for her to avoid their amateurish skills. “Little Green Men” wouldn’t make my Top 10 episodes, but it provides an important step in the evolution of the series. The conspiracy story would reach greater heights during the upcoming seasons as the men behind the curtain slowly reveal themselves. The final conclusion doesn’t match the creative heights of its heyday, but The X-Files remains a pivotal show in the history of genre television. Its long-term arcs would inspire many of the great series that would follow, including Lost, Fringe, and many others. This episode provides a strong example of its remarkable success, even during its early seasons. This certainly is a great episode. It brings back some wonderful memories of The X Files back in its heyday. I seem to remember some of the standalone episodes being my favourites - it was a bit sad to see the show lose a bit of its allure towards the end, at least for me. I agree that the X-Files lost steam in the last few seasons. Robert Patrick is a good actor, but they just couldn't find a way to make everything work. Also, it's tough to maintain high quality of a series for nine years. I remember loving the mythology episodes when they aired originally, but some of the standalone ones hold up better today. Great post! The first seasons of X files are definetly the best, I always loved the eerie feel to the episodes and the creepy mysteries. I agree. They really hit their stride in the early and middle seasons, but it was tough to keep up the momentum as they went along. There were still a few gems in there later in the series, though.